Gordon is a highly skilled professional recognized for using a disciplined approach to finding practical solutions to business and financial challenges. He has proven ability in leading performance improvements, team building, and turnaround opportunities. Additional strengths include building organizational trust, strategic thinking, budgeting and forecasting, operational analysis, staff development, and internal controls. 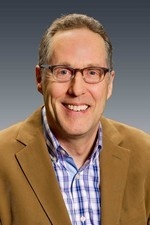 Before joining CFO Selections, Gordon spent six years as a consultant with Tatum LLC and Gottschalk Hardesty, where he successfully filled CFO and Controller roles at companies in the forest products, distribution, retail, manufacturing, professional services, real estate, and nonprofit sectors. He held several executive-level positions, including Division President, at US Foodservice (Alliant Foodservice) in Fife. While there, he lead successful initiatives to reduce working capital requirements and rationalize credit terms while speeding up customer collections and enhancing gross profit margins through selective price changes. 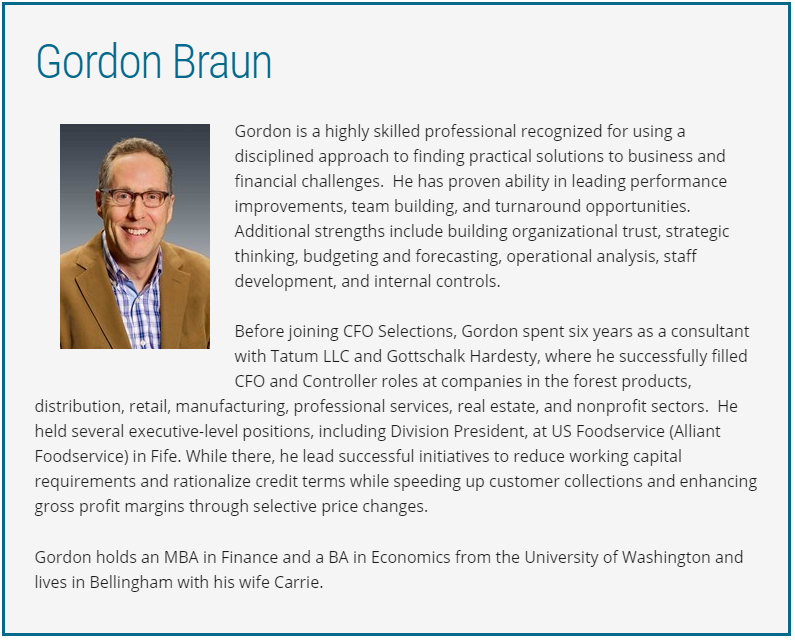 Gordon holds an MBA in Finance and a BA in Economics from the University of Washington and lives in Bellingham with his wife Carrie.